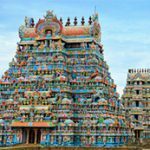 We, at Indo Asia Tours, want travellers coming to India to get a comprehensive orientation to the country and the surrounding nations that we operate in. This means, that all the dimensions of travel – food, history, urban life, nature – are taken into consideration when planning a trip. 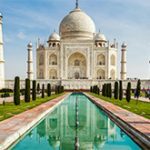 Of the vast experiences that the subcontinent offers, we have chalked out some of the best itineraries that make one dive deeper into the topic. 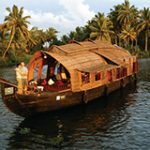 For example, Kerala’s unique food, or sustainable tours are some of the travel ideas that we would love the travellers to experiences. Expect a range of activities in these tours, we take you in the heart of one area and immerse you in all aspects of it. In the Maharani Gayatri Devi tour, one gets to dive into the life of the glamorous queen of Rajasthan and in the northeast tribes one gets to know about the hidden tradition and culture of the states that are tucked away from the mainland. We have also organised a photography tour where an expert photographer accompanies you to the most photographic opportunities while travelling. The special tours break the monotony and the rhythm of expected experiences and throws the traveller, a volley of excellent travel glimpses. Of these, we are particularly proud of the Sustainable Tour that helps us work towards the promise of creating excellent travel itineraries, keeping in mind that the travel foot print should only curb intrusion and add value to the destination instead. Any generalization of Indian cuisine as ‘curry’ would be a grave mistake. The cuisine of each region is as diverse as is the culture, or the language and dialects spoken in the area. Each region has its unique style of cooking and flavouring using the locally sourced ingredients. In this tour we present the traditional cuisine of Kerala. 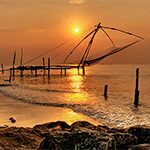 While in Kerala, you can enjoy a cuisine enriched with cereals, vegetables, herbs, tropical fruits and seafood, and garnished with the distinctive aroma of pepper, cardamom and chilies. Rice forms the main ingredient in most of the Kerala cuisine and is served in different forms. Spices are generously used to enhance the taste for both vegetarian and non-vegetarian cuisine. With so much of varieties to offer, the distinctive Kerala cuisine offers you with great opportunities for gastronomical experiments. Drive to Munnar. Overnight at the hotel. Drive to Alleppey and board the houseboat cruise for the night. Lunch, Dinner and overnight at the rice boat. Drive to Marari after getting down from the houseboat. Drive to Cochin for onward flight. Arrive in Cochin. 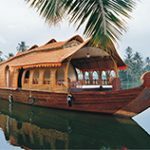 Cochin is the commercial capital of the coastal state of Kerala, in the deep south of the nation. The city still exhibits footprints of its colonial influences from Portugal, Holland and England. Most amazing are the Chinese fishing nets along Vypeen Island. Traders brought these cantilevered fishing nets from the courts of Kublai Khan. The tour includes the Jew City with the Jewish Synagogue (built in 1568). The hand-painted floor tiles came from Canton by a Rabbi who also had trading interests. Later visit St. Francis Church, the Mattancherry Palace and the unique Chinese fishing nets near the mouth of the Arabian Sea. In the afternoon, there is a cooking demonstration of Syrian Christian cooking with a renowned cooking teacher. Enjoy lunch with a local family. Watch the Kathakali performance in the evening. Overnight in Cochin. 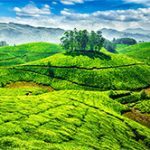 In the morning, take a visit of the sprawling tea gardens of Munnar. Later, drive to Madurai. In the evening visit of night ceremony at Shri Meenakshi temple. Overnight at the hotel. In the morning visit Meenakshi Temple. In the afternoon visit Nayak Palace and Teppakulam. Later in the evening, we will organize lecture on Tamil Cuisine. (30-45 minutes). Lecture will be given by the hotel chef. Later on enjoy special Tamil dinner at the hotel. Tamil cuisine is perhaps the oldest representative of the continuous vegetarian cultures of the world. The delicious dishes from the state are relished all over the country and abroad. 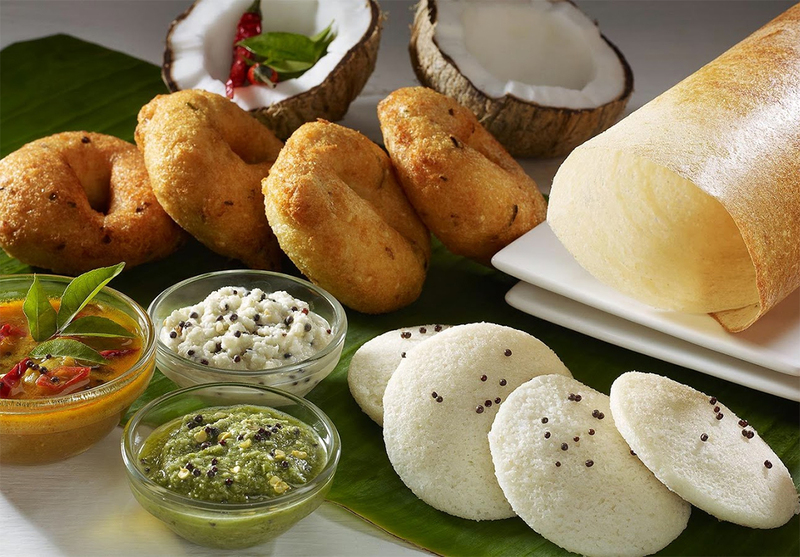 The cuisine has important delicacies like dosa, idli and vada served with sambar and chutneys. There is a wide range of rice and vegetable preparations. The meals are traditionally served on banana leaves. Tamil cuisine is known for its aromatic, flavorful and sometimes spicy food. These recipes create an unique blend of spices, that makes the food very appetizing, nutritious and wholesome. Drive to the next stop, Periyar. Overnight at hotel. In the morning enjoy a boat ride in Periyar wildlife sanctuary. Later visit a spice plantation. You will walk through the aromatic spice gardens where the air is laden with the fragrance. The spice plantations of Kerala are fascinating farms to wander in, for different sections of each plantation are dedicated to different spices. Apart from spices traditionally grown in India such as pepper, cinnamon, ginger and cardamom farmers in Kerala have taken to growing spices that are used worldwide. In the late afternoon, there will be a lecture on spices in Indian Cuisine by the naturalist and chef. In the evening cooking class with preparation of a meal. Group will have the same dishes for dinner. Day is free at leisure. In the evening enjoy cooking demo. It will contain 2 seafood dishes (Marari Fish curry & prawn coconut fry). The Farewell dinner will be organized on Malabar theme. (Malabar cuisine is noted for its variety of pancakes and steamed rice cakes made from pounded rice. Malabar food is generally mildly flavored and gently cooked. Some of the popular Malabar dishes are Thoran, Appam, Avial etc.). Group will have both the dishes on the dinner table, which they have prepared during the cooking demonstration. Overnight at the hotel. The Northeastern region of India is one of the most vibrant and rich, with overtones of diverse dressing, food and traditions. Each district is unique in language and history, making the travel here extremely interesting. 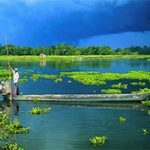 Add to that the unique biodiversity of the region, and the trip is suitable for all interest types. In this trip, we take you through the rich culture of the various tribes in Assam and Arunachal Pradesh. Arrive in Kolkata. 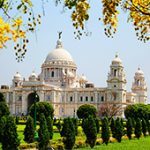 Spend the day sightseeing various places like the Howrah Bridge, Victoria Memorial, Kali Ghat Temple, Botanical Gardens, flower market, St. Paul’s Cathedral Church and Mother Teresa’s House. The day is spent getting oriented to the culturally rich city of Kolkata. In the morning transfer to Dibrugarh airport to board flight to Kolkata. Time permitting opt to take a tea plantation tour before flying out. Overnight in the hotel. Onward flight. Fly to the city of Jorhat in Assam. On arrival transfer to Heritage Thengal Manor. Afternoon, take a walk around Jalukonibari village (Assamese village). A Colonial Style Manor “Thengal Manor” is located at a distance of 8 miles from Jorhat Town. The land area is 6 hectares. 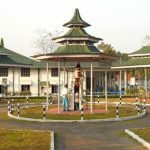 Thengal is a 72 year old mansion and its name is written in the annals of history because the first daily newspaper in Assamese Language ‘Dainik Batori’ was launched from here. Thengal offers the unique pleasure of gracious living in the lap of nature. Overnight at hotel. After breakfast we drive to Neematighat (20 Kms / 40 mins) for ferry crossing (1 hr downstream boat cruise- the time depends upon the water level of the river) to Majuli - the largest inhabited river island in the world and famous for the Vaishnavite Satras or monasteries (Kamalabari Satra, Auniati Satra, Benganti satra, and many more) and culture. It is nestled between the confluence of the Subansiri and the Brahmaputra River. Visit the monasteries and interface with the tribes on the island. Overnight at Majuli. After breakfast ferry across to Neematighat and later drive to Dibrugarh (145 kms/ 03 ½ hrs). 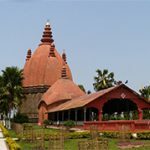 Enroute we visit the Ahom monuments and temples at Sivasagar which encompass the 600 year old history of the Ahom Dynasty. Check in at Heritage Chang Bungalow for 02 nights. Evening enjoy a dance performance by an ethnic dance group on the bungalow lawns. Overnight at the Heritage Chang Bungalow. After breakfast drive to Wakro (190 kms / 4 hrs). Enroute visit Empong Village to see the Khampti tribes and also visit the Buddhist Gompa. Check in at Purvi’s Mishmi Retreat, Wakro. Khamptis are one of the major tribal inhabitants of the Lohit District. They are deeply influenced by Buddhist ethics and morality. The Khamptis are Buddhists of the Theraveda School. 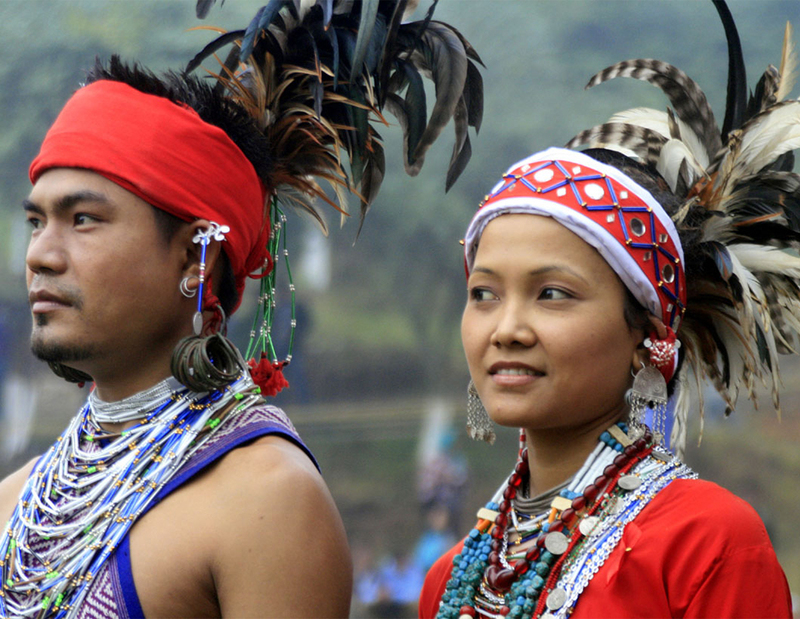 They are the only tribe in Arunachal Pradesh who has their own script for the language. Traditionally, they live on the cultivation of paddy and other crops. Wakro (maximum valley altitude 2000m) is the homeland of the “Mishmis” one of the Mongoliod tribes of Tibeto-Burman origin. They speak their own dialect which varies from different groups. The three major Mishmi groups are “Idus” “Tarons” and the ‘Kamans’. Mishmis are very rich in culture and may be termed as a festival loving people. Today we visit the local Mishmi tribal villages like Kanjan Village, Pukhuri Village, and Thomba Village to learn about their rich culture and traditions and interact with the Mishmi tribe. Overnight in the hotel. 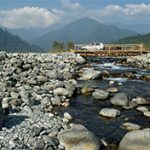 After breakfast drive to Roing (160 kms/ 5 hrs) in the Debang valley of Arunachal Pradesh crossing the Lohit River at Digaru. Enroute visit Parasuramkund- a pilgrimage site where thousands of pilgrims come every year during Makar Sankranti to take a holy dip in the river. Roing rises from the Himalayan foothills to the middle ranges with the highest point of Mayodia at a height of 2655 meters from mean sea level. Snow-capped peaks, turbulent rivers, mystic valleys and abundance of rich flora and fauna are a few attractions of the district. Idu Mishmi is the major tribe inhabiting this area along with the Adi Padam tribe in the lower plain areas. The Idu Mishmi tribe is also known as Chulikatas. They build their houses on the slant of hills or in the forest . Overnight in the hotel. Today we drive to Mayodia Pass (55kms/1hr30mins) - a unique pass situated at an altitude of 7000 ft amidst lofty hills, lush green forests and breathtaking landscapes. Return to Roing and visit the local villages. Overnight in the hotel. After breakfast drive to Tinsukia (120 kms/4 hrs) including ferry crossing. First we drive 02 hrs to reach Sadiya Ghat to board a ferry cruise (01 hr) on the headwaters of Brahmaputra river to reach Soikhowaghat. From Soikhowaghat we drive 01 hr to reach Tinsukia. Check in at Wathai Heritage Bungalow, Limbuguri Tea Estate for 02 nights. Afternoon at leisure. Overnight at the Bungalow. Today early morning we visit Barekuri Village (10 kms / 20 mins) to see a small group of Hollock Gibbons. 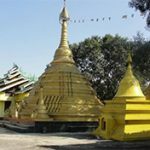 Later we drive to Tai Phakial village (35 kms/ 45 mins) - an ethnic village whose kith and kin date back to the Ahom period. The villagers still maintain their age-old culture - a village worth exploring. Later we visit the Bell’s Temple and Railway Heritage Museum. Overnight at Wathai Heritage Bungalow. Post breakfast we drive to Digboi (45 kms / 01 hr), the first oil town of South Asia. Visit the Oil Museum and the 2nd World War Allied Forces Cemetery where 200 graves are permanently maintained by the Commonwealth War Graves Commission. Thereafter drive to Margherita (20 kms / 30 mins) and visit the Singpho village. Singpho people are Theravada Buddhists by religion. The Singphos are divided into a number of clans, each under a Chief known as “Gam”. They were the first to introduce the tea culture in Assam. Later drive back to Dibrugarh 80 kms / 02 hrs and check in at Heritage Chang Bungalow for night. Maharani Gayatri Devi, a symbol of royalty in India, was the third Maharani consort of Jaipur from 1940 to 1949 through her marriage to Maharaja Sawai Man Singh II. She was born in Cooch Behar and travelled the length and breadth of the country with her role as a princess and then a queen. An avid polo player, she was one of the most modern Queens in India, who did a lot for the city of Jaipur, the capital of the Kingdom that she was queen to. Later, the Maharani was seen a fashion icon with her glorious collection of special saris. This journey trails her footsteps. After breakfast transfer to the airport and take a flight to Bagdogra. On arrival continue drive to Darjeeling and check in at the hotel. Nestled among the rolling mountains with the glistening Mt Kanchenjunga towering over the azure sky, Darjeeling is fondly called ‘ Queen of the Hills’. It provides a perfect gateway for those seeking to be in harmony with nature. Darjeeling, though in the state of West Bengal, shares more common history with neighboring Nepal and Sikkim. Overnight in the hotel. 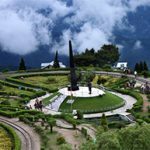 Spend the day sightseeing in and around Darjeeling. The key highlights are Tiger Hill, Toy Train to Ghoom, the Ghoom Monastery and the Himalayan Mountaineering Institute and Museum. The Ghoom monastery is correctly known as Yogachoeling Gompa. This is probably the most famous monastery in Darjeeling and is about 8 km south of town, just below Hill Cart road and the train station near Ghoom. It enshrines an image of the Maitreya Buddha. The HMI is yet another sight that should not be missed. The Mountaineering Museum contains a collection of historic mountaineering equipment, specimens of Himalayan flora and fauna and a relief model of the Himalayas. The Everest Museum next door traces the history of attempts on the great peak. Sherpa Tenzing Norgay, who conquered Everest with Edmund Hillary in 1953, lived in Darjeeling and was the director of the institute for many years. He died in 1986 and his statue now stands beside cremation spot just above the institute. After breakfast drive to Cooch Behar. Cooch Behar is well known for being the maternal home of Princess Gayatri Devi. After breakfast visit the Cooch Behar Palace and Madan Mohan Temple. 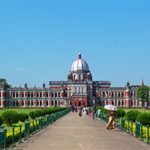 Cooch Behar Palace was designed on the model of Buckingham Palace in London. 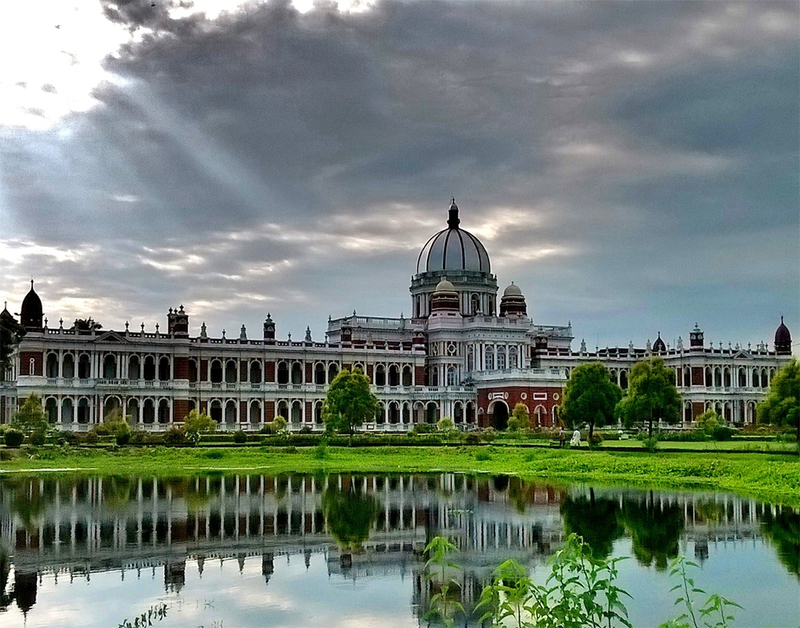 Conceived from the concept of classical European style of Italian Renaissance, this magnificent palace was built by the famous Koch king Maharaja Nripendra Narayan in 1887. After breakfast transfer to the Bagdogra Airport to fly to Delhi. On arrival check in at the hotel. 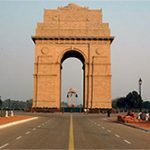 In Delhi, you will encounter a fascinating blend of the ancient and the contemporary, where government buildings, medieval palaces and bazaars exist beside a modern metropolis. Delhi is a city waiting to be explored. Overnight in the hotel. Landmark monuments make for a great sightseeing day in Delhi. The 17th century imposing fortress, Red Fort, followed by Jama Masjid, the mosque that can house 20,000 kneeling devotees in prayer and Raj Ghat, Gandhi’s memorial. You also cross the centre of the city where all the government buildings are located. Photo stop at Rashtrapati Bhawan, Jaipur House (now the National Museum of Modern Art) and Qutab Minar are part of the plan. Overnight in the hotel. After breakfast drive to Agra. Agra stands on the right bank of the river Yamuna, was once the seat of the Mughal rulers, the zenith of art and an en-shrined romance. It is a town famous for its beautiful medieval monuments. The passion of the Mughals for building endowed it with some of the loveliest buildings in the world. Overnight in the hotel. After breakfast proceed to the world famous monument of India the Taj Mahal (1631-1653), a poem in white marble, built by Shah Jahan in memory of his beloved wife, Mumtaz Mahal, who died giving birth to their 14 child. It employed 20,000 workers from the Central Asia and Europe for 22 years to construct this extravagant monument of love, inlaying the white marble edifice with precious and semi precious stones. Later visit the Agra Fort, situated on the west bank of the river Jamuna, made by the Mughal King Akbar in the 16th century and completed by his grandson Shah Jahan, who was imprisoned by his son Aurangzeb for 8 years in this fort, before his death. Overnight in the hotel. After breakfast drive to Jaipur. On the way, visit Fatehpur Sikri, the beautiful and deserted medieval city built by Akbar the Great in the 16th century to serve as the capital of his vast empire. The complex consists of religious, residential and administrative buildings. The Mosque is considered a copy for the Mosque at Mecca and is extremely elegant, containing elements of Hindu and Persian design. Housed here is the Shrine of Sheikh Salim Chisti one of the greatest of Sufi saints of the Muslim world. Maharaja Jai Singh II built Jaipur in the 18th century. It is a planned city built with ancient Hindu rules as the colonial capital of a richly colourful state. The whole city was painted pink to welcome the visit of Prince Albert in 1853. Overnight in the hotel. On arrival in Ahmedabad transfer to the hotel. Ahmedabad is the pot-pouri of tradition and modern Islam and practicing Hinduism. 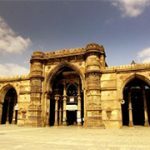 A city known for many outstanding institutes and ashrams, it is situated on the banks of the Sabarmati River was the former capital of the state of Gujarat founded by Sultan Ahmed Shah in 1411. Today it is metropolis of the Indian Textile Industry. In the afternoon visit to Jama Masjid (Friday Mosque) built by Ahmed Shah in 1424, the façade is emphasized by the spacious courtyard paved in marble with a tank in the middle. It has a screen of arches flanked by a pillared portico. Later proceed to Sidi Sayed Mosque- Sidi Sayed Mosque is unique for its exquisite screens, which are praised for their amazing Jhali screen, framed, in the ten semi-circular windows. The screen carved out of one rock is just exceptional. A visit to this superb and outstanding example of delicate carving is an absolute must. Overnight in the hotel. There are a number of things to see in Ahmedabad – Adalaj, Sabarmati Ashram, Dada Hari na Vav, Hate Singh Temple. Of these, the Gandhi Museum at Sabarmati is something you will love. It is one of the places from where Gandhi started the freedom movement. In 1930 it was from here that Gandhi started his Dandi Yatra to flout the salt laws of the British. The ashram, located on the banks of Sabarmati River was founded in 1915. Today it has been converted into a Gandhi memorial. After breakfast drive to Vadodara, once the capital of the Gaikwads. Baroda is a city with traditional heritage. 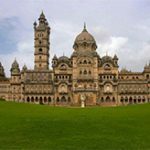 A graceful city with palaces, parks and museums, Baroda is well known for its university and faculty of fine arts and is also a thriving industrial centre. Visit the Laxmi Vilas Palace built as the residence of the royal family. It is an extravagant and flamboyant piece of architecture, which houses royal collection of art treasure.. Kirti Mandir, the family vault of the Gaikwads, is decorated with murals by Nandalal Bose. The Vadodara museum and picture gallery has impressive collection of European oil masters, Mughal miniatures and valuable Buddhist and Jain palm leaf manuscripts. Overnight in the hotel. After breakfast transfer to the airport and take a flight to Mumbai. Visit Prince of Wales Museum (closed on Mondays). Prince of Wales Museum is the erstwhile name of Chhatrapati Shivaji Maharaj Vastu Sangrahalaya of Mumbai. In 1905, George V laid down, the Prince of Wales himself, who came on a visit to India its foundation stone. George Wittet, an architect, designed the splendid structure. The construction work was concluded in 1914, but the structure was converted to a military hospital for the period of World War I. Lady Lloyd inaugurated the full-fledged museum in 1923. The Kamla Nehru Park is next on the list. Perched on the top of Malabar Hill, Kamala Nehru Park is essentially a vantage point that presents a panoramic view of the glittering city - Mumbai. It extends to 3,300 sq m in the most luxurious and posh residential area of the Bollywood city of India. In the afternoon we will arrange the visit to Ball room at Taj Mahal Palace and Towers where Maharani used to hold various official meetings. 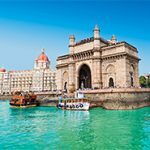 Today, spend another day in and around Mumbai, taking in sights like the Elephanta caves, Gateway of India, Hanging Gardens, Marine Drive and other important places of the city. Overnight at the hotel. Onward flight. Kathmandu, the gateway to the highest mountain in the world, Mt. Everest, is a fascinating place that promises spectacular views and excellent glimpses of local life that make for great photo opportunities. The towering mountains, lush valleys below and the simple living can creative a spark in the mind of the photographer. 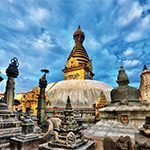 This itinerary takes you through different parts of Kathmandu Valley – a dream come true for any photographer. 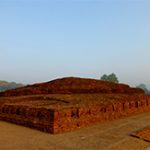 Tilaurakot has been the citadel complex of the larger surrounding Kapilvastu Kingdom, founded by Lord Buddha. Tilaurakot was excavated by Robin Coningham and Armin Schmidt. The excavation revealed a considerable walled fortress approximately 300 meters long and 200 meters wide and containing exposed foundations of several building complexes. Explore this and return to the hotel. Fly to Kathmandu and reserve the day for exploring the Darbar Square. Kathmandu Durbar square is the complex of palaces, courtyards and temples like Hanumandhoka Palace, Kumari Ghar (Abode of the Living Goddess) and Taleju temple (used to be the seat of the ancient Malla Kings of Kathmandu). The Durbar Square, protected as a UNESCO World Heritage Site, is the social, religious and urban focal point of the city. Overnight in Kathmandu. After breakfast visit Dakshinkali and Sheshnarayan (Pharping). The monastery is one that overlooks nearby Shesh Narayan where Hindus and Buddhists alike come to worship. Find mostly here a sylvan calm. Kirtipur and Chovar are the two other places that you will visit today. The settlement of Kirtipur straggles the hilltop with a stupa at one end and the ruins of a Hindu temple at the other. Kirtipur embodies the perfect blend of two religions existing side by side in perfect harmony. Overnight at Kathmandu. After breakfast visit Patan. Patan is one of the major cities of Nepal which is located in the south western part of Kathmandu valley with its approximately one million people. Patan is well famous for its Hindu temples and Buddhist shrines, traditional art and crafts, old palace and of course Newari cultural. There are more then 1200 temples and shrines in and around the city. 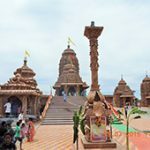 Patan Durbar Square (a complex of temples and palace which is UNESCO world heritage site) and Hiranyavarna Maha Vihar (famous as Golden temple) are the major attractions of Patan. Off Patan, the villages of Bungamati and Kokana offer a fascinating glimpse of rural life in the Kathmandu Valley. Overnight at Kathmandu. After breakfast in hotel we drive to Bandipur village via Manakamana Temple, which is one of the famous Hindu temples in Nepal. You can experience of cable car here to reach the top of the hill, where it is perched. We also visit Bandipur on this day. 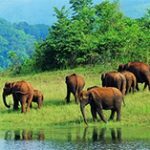 Bandipur is a small settlement on a hilltop with a beautiful view of Himalayas and the view of Marsyangdi valley which is famous for its nature’s bounty. Bandipur is situated 73 km from Pokhara and 143 km from Kathmandu on a hilltop above the highway town of Dumre and captivates the visitor with its cultural appeal and pristine scenery. Once it was a trade hub for caravans from plain terai region and from Tibet. After arrival in Bandipur we will have some time for lunch and check into hotel and then we go to visit a local village. After visiting Bandipur drive to Pokhara (65 km.) via Siddhartha highway which offers beautiful views of the Himalaya and landscape of Nepal. 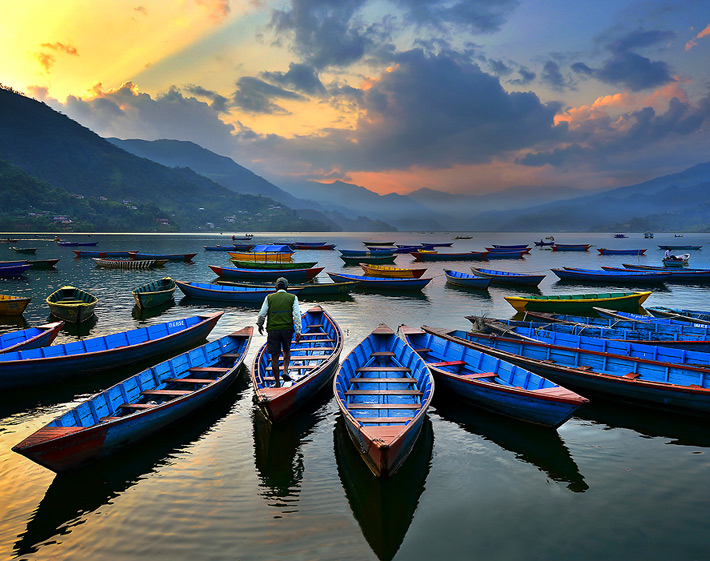 Pokhara is Nepal’s most beautiful natural valley, which is also the most popular tourist destination. The Annapurna, Machhapuchre (Fishtail) and uncountable mountains welcome visitors. 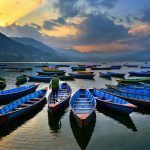 In the afternoon we will take you for boating on the Phewa Lake. This lake lies in the middle of Pokhara city. In the center of lake a small temple of Goddess Barahi is situated. After breakfast, visit Sarangkot. You can walk or drive from lake side to Sarangkot. On clear day, panoramic views of Himalayas can be seen from here. Also visit the Bindhabasini temple and Gupteshwor Mahadev temple. This day is an orientation to the special deities that are worshipped in Nepal. Their legends and stories are interesting anecdotes that you’re bound to remember. We also visit the Tibetan Refugee Camp and Natural History Museum. Overnight in Pokhara. After breakfast drive to Lumbini for 211 kilometers which takes 6-7 hours. Upon arrival in Lumbini check into hotel. 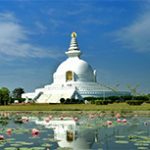 After lunch visit the birthplace of Siddhartha Gautam – the founder of Buddhism, known as the Buddha or the enlightened one. This is confirmed by the existence of an inscribed pillar erected in 3rd BC by the great Indian Buddhist emperor Ashoka, and the presence of a number of ancient ruins. Fittingly, Lumbini is an example of the ephemeral nature of human endeavor. You will visit Ashoka pillar, Lumbini Garden, Mayadevi temple etc. Overnight in Lumbini. Today, fly to Kathmandu and spend the rest of the day sightseeing. Pashupatinath, UNESCO world cultural heritage site, one of the holiest shrines of all Hindus, is located eastern part of the Kathmandu valley on the bank of the Bagmati river with an area of approximately 2.5 square kilometers. Boudhanath stupa is one of the oldest and biggest Buddhist monuments of Nepal. The Boudhanath stupa, surrounded by many private colorful houses and Buddhist monasteries, is considered as Mecca for Tibetan Buddhists. Then there is Patan, known for its glorious temples and a major World Heritage Site. Overnight in Kathmandu. After breakfast, visit Swayambhunath Maha Chaitya, the most fascinating architectural jewel of the world, a UNESCO world cultural heritage site. It stands on a hilltop at western part of Kathmandu and is approximately 2000 years old. The other stop for the day is Budhanilkantha, which is situated in the northern part of the Kathmandu valley and is dedicated to Lord Bishnu (here he is named as Narayan). Sankhu, one of the oldest Newar villages of the Kathmandu valley holds pristine natural surroundings and offers a plethora of cultural insights on the Newari people. Overnight at Kathmandu. After breakfast, visit Bhaktapur, an ancient town of Kathmandu valley which is located in the east corner of Kathmandu. The entire town is a UNESCO world cultural heritage. From time immemorial, Bhaktapur was the trade route between China-Tibet and India. Tibetan caravans used to come Bhaktapur with their sheep, woolen products and other herbal medicines from north and Indian caravans used to come with sugar, grains, species etc. Bhaktapur itself is and was famous for handicrafts and Buddhist scriptures so it was like the trade hub of that time. This position on the main caravan route made it rich and prosperous. The prosperity fueled the cultural life, in which temple builders developed Pagoda-Style structures. Bhaktapur Durbar Square, five- story Nyatapole temple (The tallest temple of Nepal), Bhairav Temple, Pottery square, Dattatraya square, narrow streets and life style of Newar people are the highlights here. Overnight at Kathmandu. Onward flight. The charm of travelling does not lie in sightseeing alone, but also in giving back to the society, truly understanding the culture and making the destination a long-lasting memory. 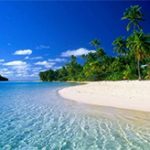 At Indo Asia Tours, we are conscious that the itinerary is as unobtrusive to the destination and also allows for an authentic immersion in the destination. This is the only way that a place will be able to retain its original character and the journey will truly be part of a sustainable culture. Arrive in Delhi. Landmark monuments fill the day for sightseeing. The 17th century imposing fortress, Red Fort, followed by Jama Masjid, the mosque that can house 20,000 kneeling devotees in prayer and Raj Ghat, Gandhi’s memorial. We also take you through the slim lanes of Old Delhi on a Heritage Walk, which gives you a perspective of history and current culture of the area. Food, living culture and historical sights in this area are the highlights. On the way back, we drive through other important buildings and monuments like Raj Ghat, India Gate and Rashtrapati Bhawan. We drive to Agra after breakfast. Agra stands on the right bank of the river Yamuna, was once the seat of the Mughal rulers, the zenith of art and an enshrined romance. A town famous for its beautiful medieval monuments. The passion of the Mughals for building endowed it with some of the loveliest buildings in the world. Later visit an inlay work factory. The art of marble inlay or “Parchin kari” was introduced in India in the 17th century by the Mughals. The Mughals who were known for their great passion for art and architecture brought with them many different forms of art during their rule, which was the golden period of India’s architectural history. Today we visit the famous Taj Mahal, a poignant poetry in marble that stands serene and awesome on a raised marble platform, by the banks of the Yamuna. The most extravagant monument ever built for love is a tribute to the timelessness of art and love. Also visit the Agra Fort, situated on the west bank of the river Jamuna, made by the Mughal King Akbar in the 16th century and completed by his grandson Shah Jahan, who was imprisoned by his son Aurangzeb for 8 years in this fort, before his death Later visit the Mother Teresa’s Orphanage in Agra. Here one can donate the books, disposable diapers and used clothes to the children. Group will also be able to interact with children. Today we first visit Fatehpur Sikri. It is a beautiful and deserted medieval city built by Akbar the Great in the 16th century to serve as the capital of his vast empire. The Mughals later abandoned this city for lack of water. After sightseeing continue drive to Jaipur. Jaipur- the City of Victory was originally Sawai Jaipur, named after its founder Sawai Jai Singh II (1700-1743). The sunset-pink tinge of its walls, buildings, temples and emporia gave it the name Pink City, the name in which it became famous throughout the world. The highlight today is a rickshaw ride, the local mode of transportation. We visit the local markets in this. After breakfast enjoy a short trip which takes you to Amber Fort on Jeep / Elephants. This city Fort is situated 130m high with the Aravalli hills all around it in a valley 11 km north of Jaipur. It was the ancient capital of the Kachhawaha Rajputs till 1037. 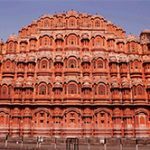 En route, make a photo stop at the Palace of Winds (Hawa Mahal). It is a 5 storied building from the 18th century having 953 windows and niches made so that the ladies of the Royal family. In the afternoon visit the “Pink City” of Jaipur. 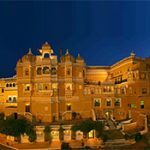 You will visit City Palace, which houses the Royal residence and museums with collections of textiles and costumes, armory, manuscripts, paintings etc. We also make a quick stop at Jantar Mantar. In the evening, there is a cooking class and a dinner. This gives you an insight into local Rajasthani food. The guests can try their hand at cooking. After breakfast drive to Pushkar, and on the way, visit Tilonia. On arrival in Tilonia visit the Tilonia Project being run by Bankar Roy. This will be one of the highlights of this trip. This program was given an award for its integration of social, ecological, cultural and educational elements in such a way as to aid rural development while promoting the architectural traditions of the region. Later, drive to Pushkar. One of the holiest and oldest cities of India, Pushkar is a favored destination for thousands of tourists and devotees. As per legends, Pushkar boasts of over 400 temples, ghats and palaces revealing an entirely different picture of the city. Today, drive to Deogarh. It is situated about 135 Kms north-east of Udaipur. The main attraction of Deogarh is Deogarh Mahal which is a heritage hotel, originally built in the 17th century and now converted into a heritage hotel offering an unforgettable experience. In the afternoon, enjoy the visit to Deogarh Village and watch villagers performing their day to day activities. Watch women around a community well fetching water buckets, washing clothes and carrying water in beautiful matkas (clay pot) on their heads. Feel free to join the group of people sitting under some shady trees or in open courtyards discussing everything from the world of politics to the local domestic issues. We will also have a round to village market where we will see various small shops of sweets, grocery, vegetables, fruits and other utility items. Also, watch different artisans like potters, cobblers, textile workers, carpenter, jewelers, etc. on their work. The highlight of the day is the local train ride through a wooded hill section (Deogarh to Phulad). A ride on the local meter gauge train, down a mountainous ghat section is interesting for its panoramic views and of the scrub jungle, hills, tunnels, 100-foot high bridges and remote one-man stations. Later drive to Udaipur. 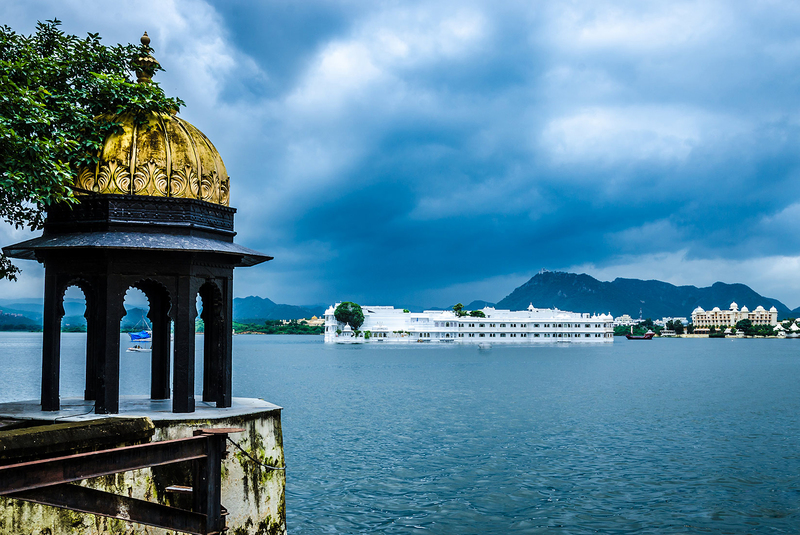 Enjoy a public boat ride on Lake Pichola derives its name from Pichola Village. Maharana Udai Singh enlarged the lake after he founded the city of Udaipur. This picturesque 4 km long and 3 km wide lake encloses the Jag Niwas Island and the Jag Mandir. The City Palace extends along its eastern banks. 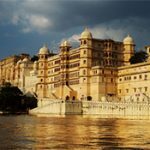 Reserve the day for the highlights of Udaipur, namely, the City Palace, Jagdish Temple, and the clock tower area to discover the local markets. We also visit an NGO, Jatan, on this day. Jatan strives to empower the youth by giving them a platform where they can freely express their concerns. Jatan also provides them with information that would enable them to seek social and scientific solutions thereby helping them become agents of change in their communities. Situated 3 kms west of Udaipur near the Havala village is Shilpgram - the Rural Arts and Crafts Complex. One of the important objectives of Shilpgram is in the sphere of increasing awareness and knowledge of rural life and crafts, specifically, for the younger generation. Special emphasis is laid on workshops for children on arts, crafts, theatre and music. 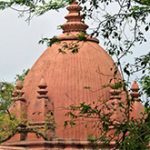 Also visit Sahelion ki Bari which was built in early 18th century AD as a retreat for ladies of the royal household to spend their time in leisure. The enchantingly beautiful garden is famous for its lotus pool, fountains (in the shape of birds), lush green lawns, flowerbeds, and marble pavilions, offering a breathtaking view to visitors. Later, take on overnight train to Delhi. On arrival, visit Gurdwara Bangla Sahib which is the most prominent Sikh gurdwara, or Sikh house of worship, in Delhi. It is instantly recognizable by its stunning golden dome and tall flagpole. Gurdwara Bangla Sahib was originally a bungalow belonging to Raja Jai Singh, an Indian ruler in the seventeenth century. Here, we eat the ‘langar’ or community meal, which is a great experience. Spend the rest of the day at leisure. Onward flight.